Enjoy the sights of northern Delaware with a drive on the Brandywine Valley Byway. The byways covers the cityscape of Wilmington and the rural countryside, showcasing 300 years of history along the way. Encompassing three centuries of American industrial history, these historic roads hold an important place in the area’s industrial past. This byway depicts “the relationships between transportation, road building, regional economy, and culture.” A byway traveler today can experience these unique communities and historic elements of the Brandywine Valley. The Brandywine Valley Scenic Byway is approximately 12.25 miles of the Kennett Pike (Route 52) and Montchanin Road (Route 100). 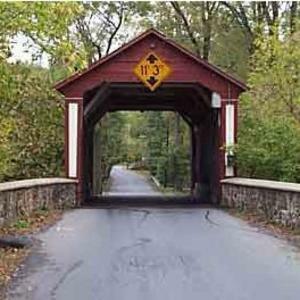 The Brandywine Valley Scenic Byway is two historic roads, divided into three major sections: City of Wilmington, Kennett Pike, and Montchanin Road. Location: From Rodney Square in Wilmington traveling on Routes 52 and 100 to the Delaware-Pennsylvania State Line.